Jordan Davis, McBath’s son, was 17 when he was shot and killed at a gas station in 2012, apparently because someone was annoyed that Davis was playing his music too loud. The shooter used a handgun he legally kept in his glove compartment for protection (from loud music? ), firing ten shots at the noisy car and four unarmed young men; he is now serving a life sentence without the possibility of parole. 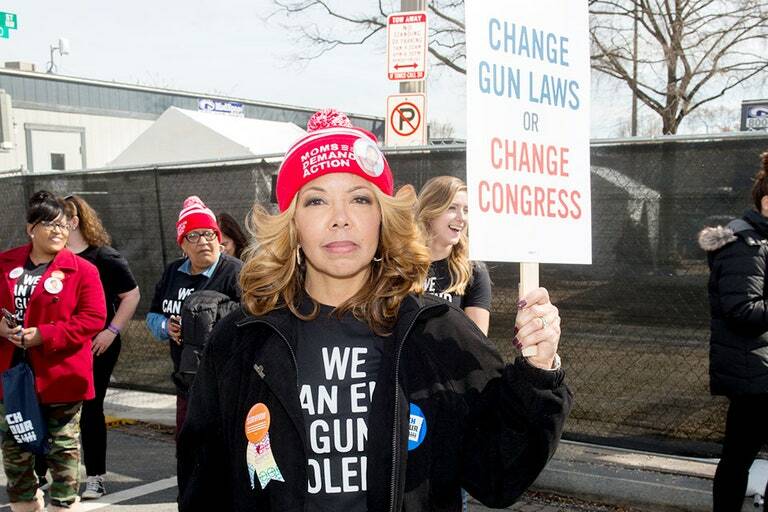 McBath gradually turned from her career as a flight attendant to political activism, first through Moms Demand Action for Gun Sense, and then in a tough Congressional run. Some version of the mostly white, well-educated, and suburban district, had been represented by Republicans since New Gingrich won the House seat in the 1970s. McBath campaigned on a full range of issues, but gun violence and the loss of her son were the most prominent. Of course, there’s a long history of activists turning to government service to advance their goals. Representative McBath’s presence in the Democratic caucus means that there will be an experienced and passionate advocate for attention to gun violence, someone who will draw institutional attention to the next horrifying shooting, and who won’t trade the issue away for something else. Maybe this changes everything. Carolyn McCarthy was elected to represent a mostly suburban Republican district in New York in 1996, three years after a crazed gunman shot and killed her husband and critically wounded her son on a commuter train. A nurse, McCarthy herself was a Republican until she ran for office. Representative McCarthy, reelected 8 times, was an informed and passionate advocate in every debate on gun policy in the House. Of course, her success reflected engagement on a variety of other issues, and a strong constituency service profile. Diagnosed with lung cancer, she announced her retirement in 2013, leaving office when the United States had weaker national laws on guns than the day she took office. It’s no easy matter to take the obvious path from activism to running for office and, maybe, legislative influence. It means taking the identity and credibility that comes from a strong position and using it to build a broader profile, raise money, and forge connections with a political party, and hundreds of other people elected with other causes and concerns. And, once in office, it means navigating a career within a political system that is designed to provide access far more readily than influence. This entry was posted in Uncategorized and tagged Carolyn McCarthy, Colin Ferguson, elections, Emma Gonzalez, Georgia, gun control, guns, House of Representatives, Jordan Davis, Long Island Railroad, Lucy McBath, March for Our Lives, mass shooting, Moms Demand Action, New Gingrich. Bookmark the permalink.